It is a warfare, after all. But we have a winning Coach—if we would just pay attention! The key question that many are asking is, “What do we do?” We can’t impact or influence the major geopolitical tsunami that appears to be clouding our horizon. But what do we do as the insanities compound in our corridors of power (in both Washington DC and Wall Street)? How do we deal with our immediate responsibilities to our families and community? We are in a serious depression, in an age of deceit. No matter how much a prostituted media attempts to hide the facts, it is clear that very difficult times lie ahead. More difficult than most people are willing to admit. And the forthcoming election holds little optimism among the vacuous promises. Only the optimists suggest that the future is uncertain. The pessimists have done the math. So what do we do? How do we deal with the forthcoming challenges that will suddenly be upon us? Has God’s “Abandonment Wrath” begun? What should our individual response be? This is what we have attempted to deal with in our recent conference on “ Weathering the Coming Storm .” We explored our global predicaments, our national predicaments, our family predicaments, and our personal predicaments. We explored an updated “ Vortex Strategy ” for personal finances, and the antithetical perspectives on God’s (versus man’s) purposes in financial issues. We recognized that, if we are indeed approaching “the End Times,” then that has a definitive impact on our strategies and priorities. And we were pleasantly surprised by the warm and enthusiastic reaction of the attendees. In addition to the studio audience assembled at the River Lodge in New Zealand, we had “virtual delegates” (via high definition streaming on the Internet) participating from all over the world. 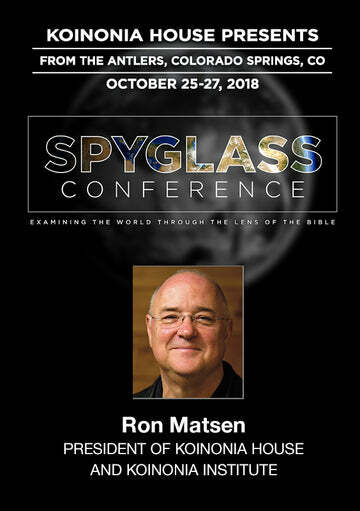 The conference is still available for viewing by registering at www.kitrust.org. And we are planning several sequels, including “Leadership for the End Times” and “Essential Doctrines for the End Times,” since we apparently have struck a very sensitive nerve. Take a look and see what you think. Weathering the Coming Storm is also available on DVD and other formats. Yes. It is a warfare, after all. But we have a winning Coach—if we would just pay attention! November 2012 Personal Update News Journal.